Mumbai(PTI): Reserve Bank of India today said biometric identity number Aadhaar linkage with bank accounts is mandatory. The RBI clarification followed media reports quoting a reply to a Right to Information (RTI) application that suggested the apex bank has not issued any order for mandatory Aadhaar linkage with bank accounts. “The Reserve Bank clarifies that, in applicable cases, linkage of Aadhaar number to bank account is mandatory under the Prevention of Money-laundering (Maintenance of Records) Second Amendment Rules, 2017 published in the Official Gazette on June 1, 2017,” the central bank said in a statement. These rules have statutory force and, as such, banks have to implement them without awaiting further instructions, it said. 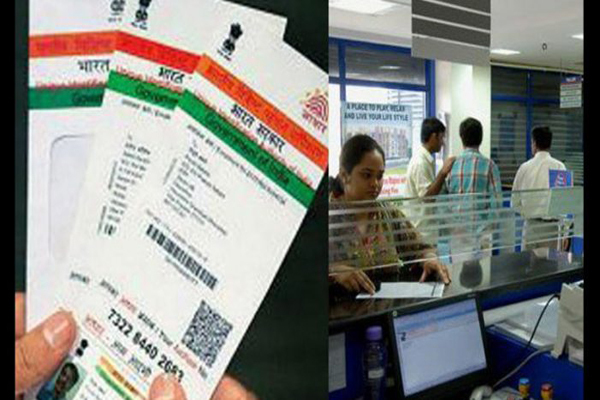 The government in June had made Aadhaar mandatory for opening bank accounts as well as for any financial transaction of Rs 50,000 and above. Existing bank account holders have been asked to furnish the Aadhaar number issued by the Unique Identification Authority of India (UIDAI) by December 31, 2017, failing which the account will cease to be operational, the government notification had said. There were reports in media quoting an RTI query in which RBI had said it “has not issued any instruction so far regarding mandatory linking of Aadhaar number with bank accounts”. The government in Budget 2017 had already mandated seeding of Aadhaar number with Permanent Account Number to avoid individuals using multiple PANs to evade taxes. Aadhaar linkage with bank accounts is mandatory.